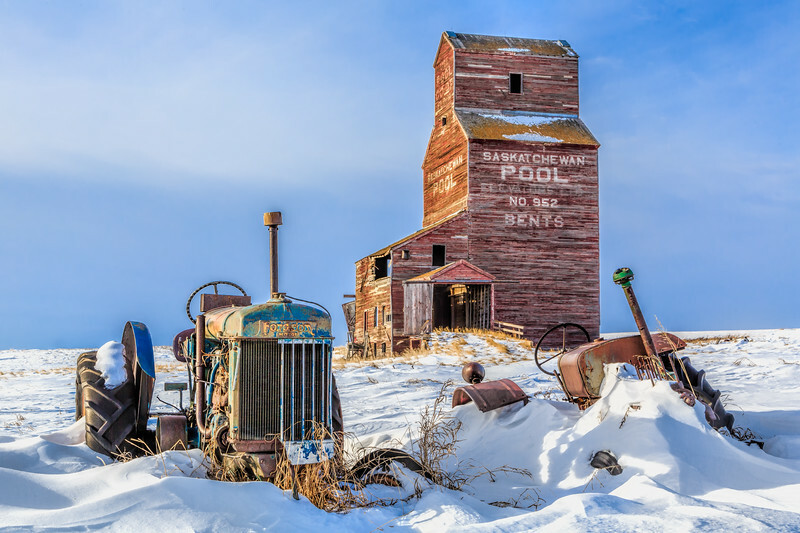 Bents only had one street through it and all that stands today is the elevator, general store, dance hall and an old farm house. 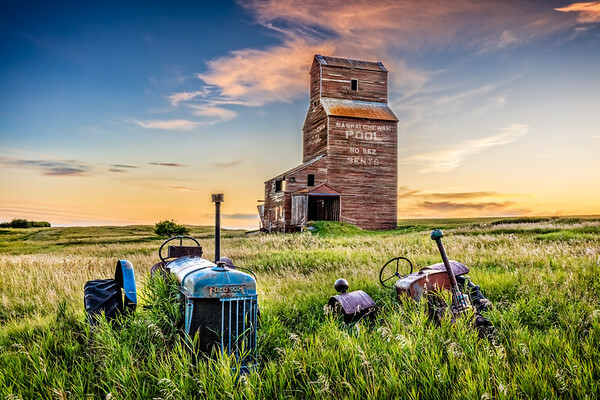 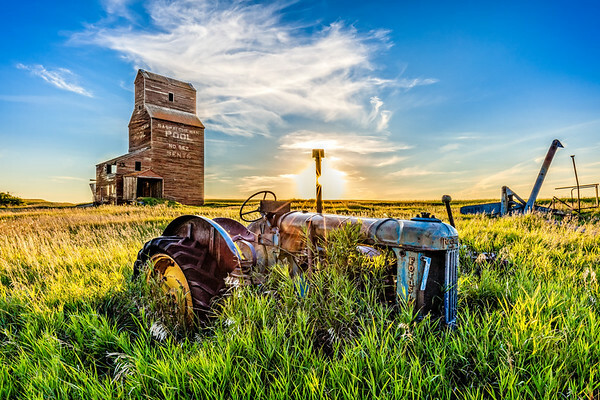 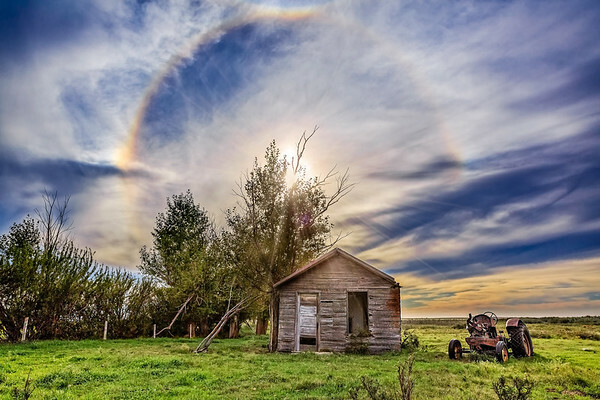 An old blue Forson tractor from the early 1900's sitting in the tall grass in the ghost town of Bents, SK. 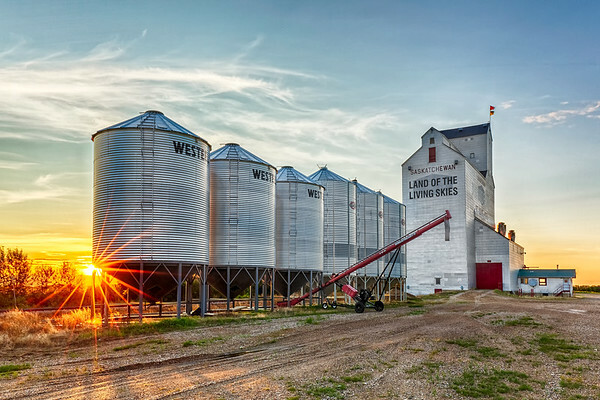 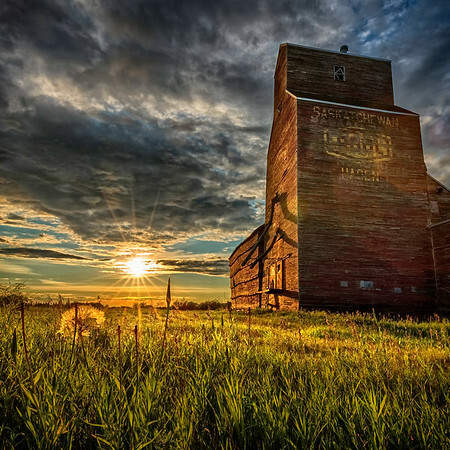 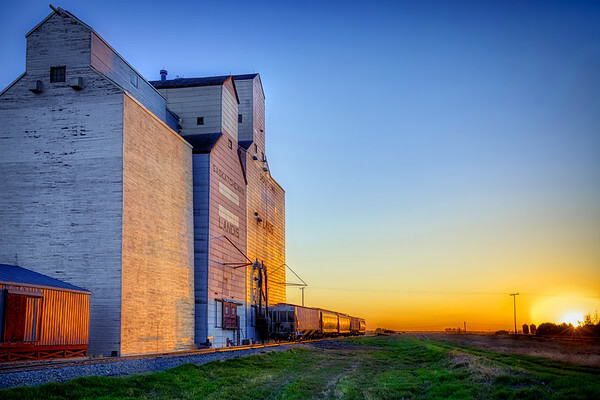 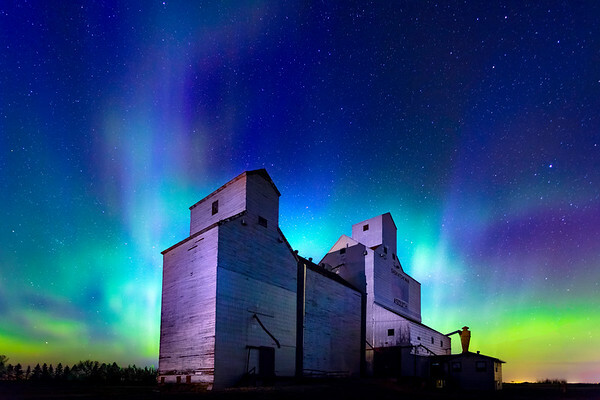 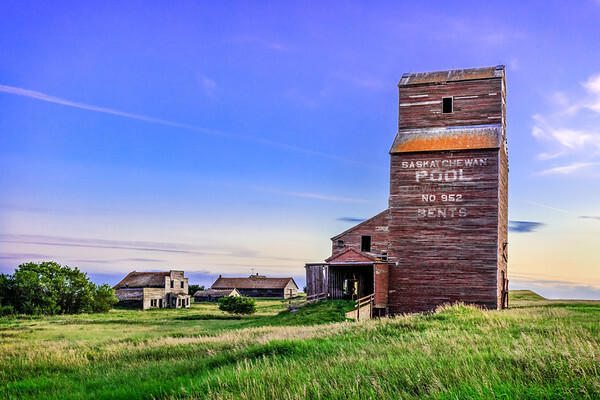 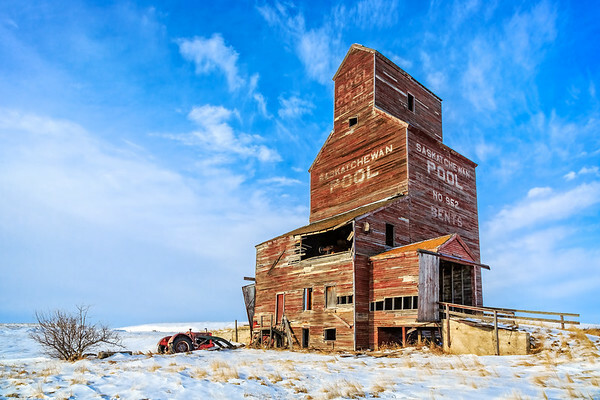 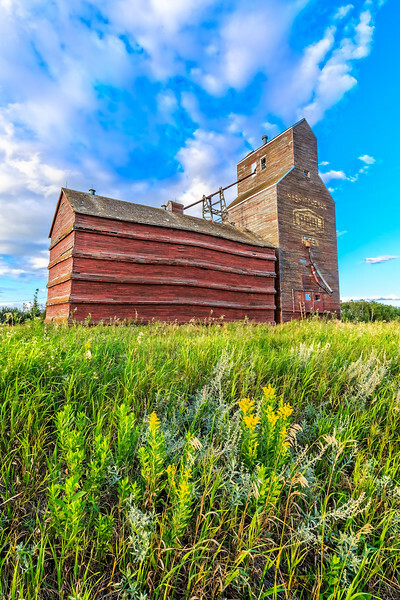 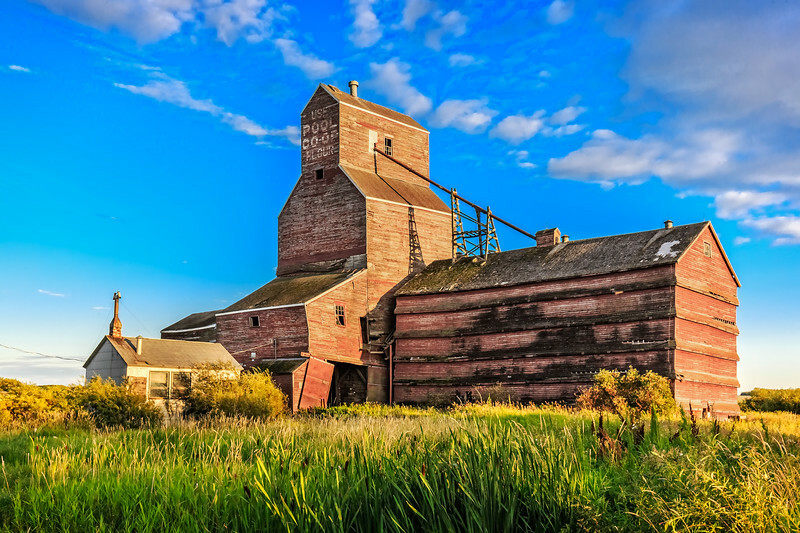 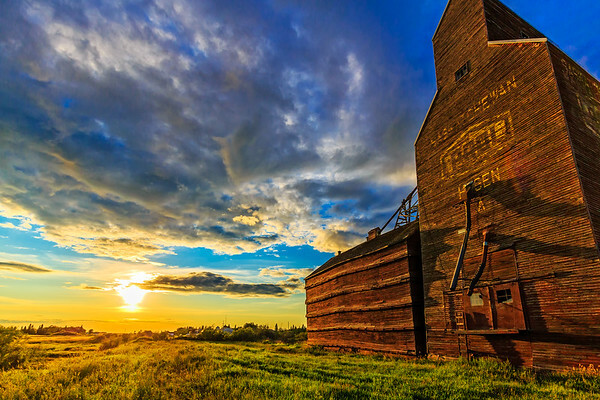 The old abandoned grain elevator in Hagen, Saskatchewan with a dramatic prairie sunset.